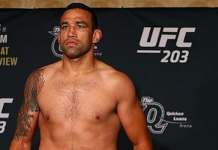 In 10 days, former UFC heavyweight champion Fabricio Werdum will attempt to extend his two-fight win streak against the rising Alexander Volkov in his journey back to the belt. However, it may be a completely different title he’s after. 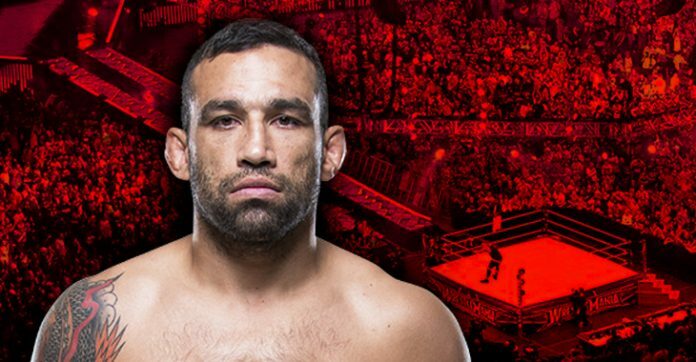 In the most unexpected news you’ll probably hear this week, Fabricio Werdum wants to wrestle in the WWE and fight in the UFC at the same time. It’s not just talk either, he has a meeting with them on Thursday. “People think it’s easy, but it’s not. You have to be well trained to do those jumps, you have to be agile. It’s not easy as some people might think. It’s quite complicated. You have to be well trained and practice a lot to captivate the audience. I’m fluent in Spanish, so I can do a character that speaks Spanish. That would be cool. I’d really like to have this opportunity to do this and captivate the Latin audience because they really love WWE. 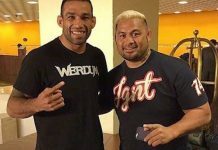 I’d be thrilled to do a fight there, or more, or a contract, because there’s no problem with the UFC since it’s not a real fight, it’s more of a show.” — Fabricio Werdum speaking to MMA Fighting. Will MMA fighters jumping ship to pro wrestling be the new MMA fighters transitioning into boxing? Fighters like Matt Riddle, Shayna Baszler and most recently Ronda Rousey may have paved the way. Ironically, Colby Covington has had success in Impact Wrestling appearances. 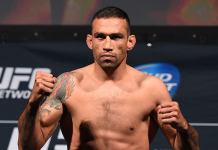 He’s also the fighter Werdum infamously threw a boomerang at. Who in the world knows what will come of this, but it definitely is a thing that is happening. Watch out, Brock Lesnar. A new challenger has potentially arrived pending their successful meeting with Vince McMahon.